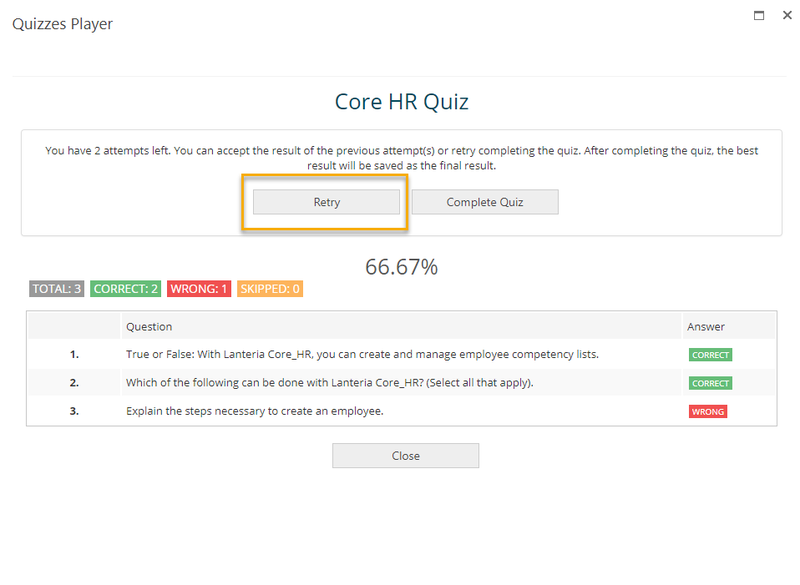 The updated Quizzes functionality in the Learning module of Lanteria HR brings even more possibilities of quiz configuration. In particular, the following new features have been added. Watch a short video on how exactly new quizzes work on Youtube. 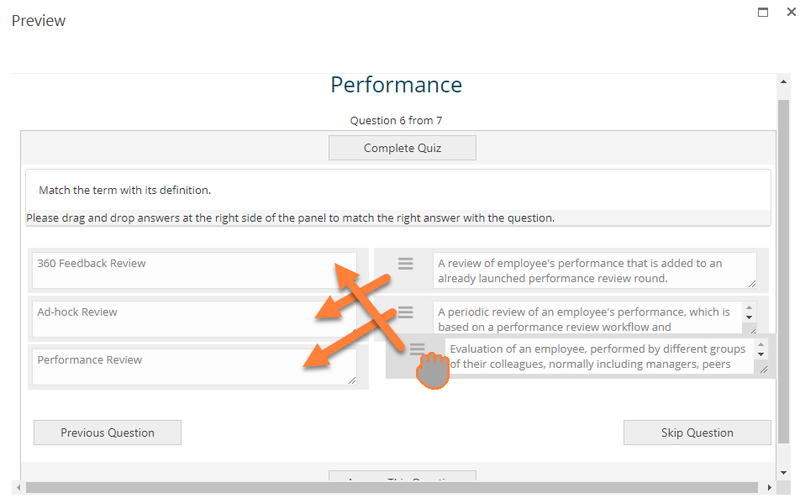 Now you can limit the time period that is required to complete a quiz. 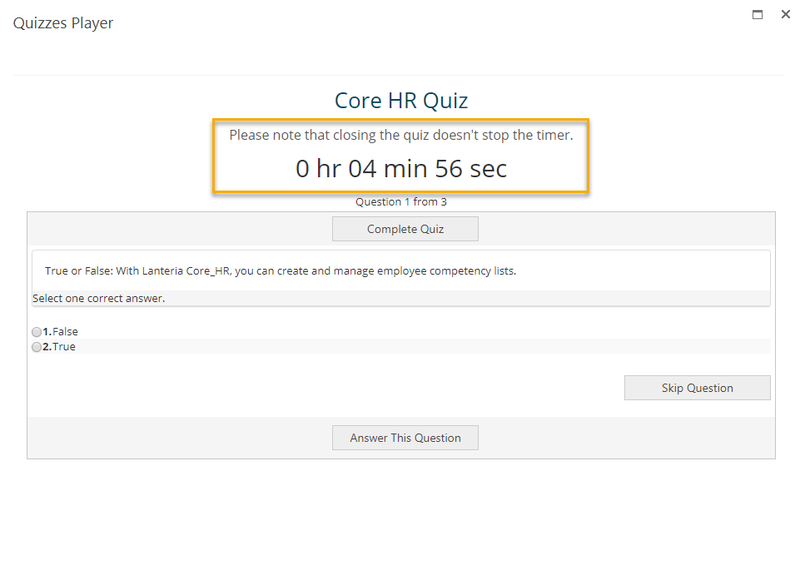 When creating a new quiz in the quiz builder, there is an option to set the time limit in minutes. The user will see a countdown in the quiz player when answering quiz questions. Note that closing the quiz player will not stop the countdown. 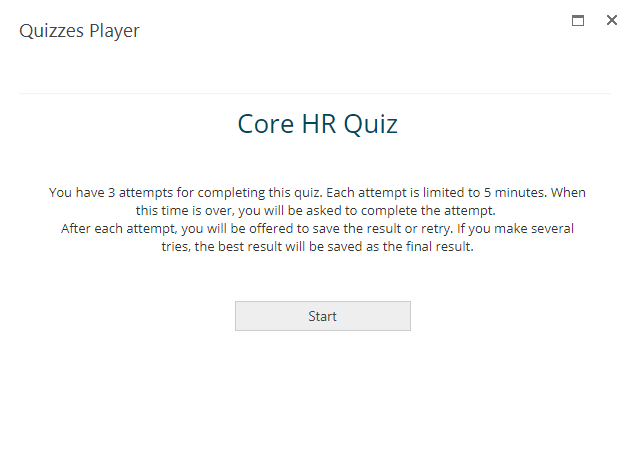 If the user fails to complete the quiz within the set time limit, the quiz results will take into account only answers that the user managed to give within the limited time period. 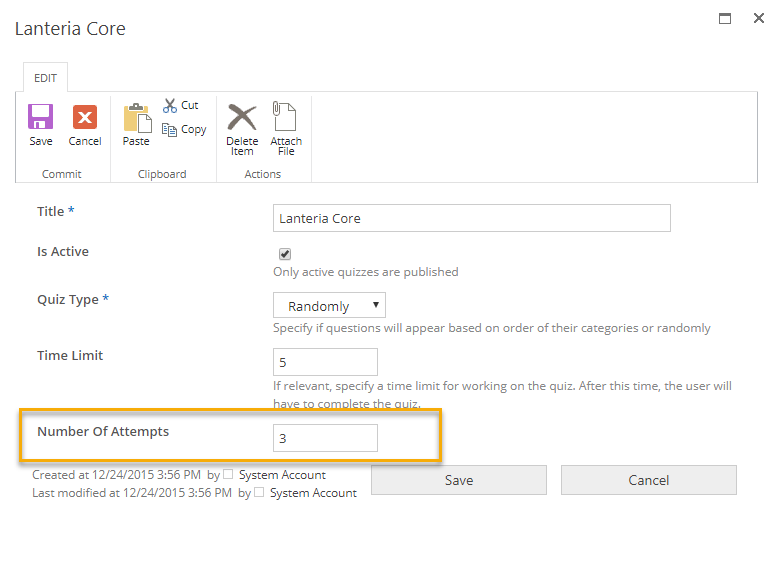 This new feature enables you to specify how many attempts it will be allowed to make to complete a quiz. 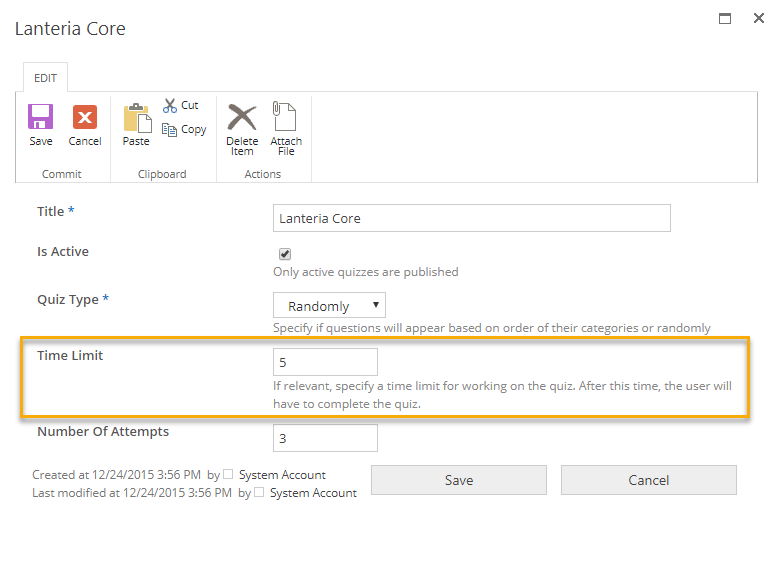 If you configure this setting during quiz creation, the user will be notified about the number of attempts that they have when launching the quiz. After all quiz questions have been answered, the user will be notified about the number of attempts left and, optionally, will have the possibility to select Retry to make another attempt. If several attempts are made, the final results are based on the best attempt. Matching – With this type of quiz question, the learner needs to drag answers until they match their correct counterpart on the left side. 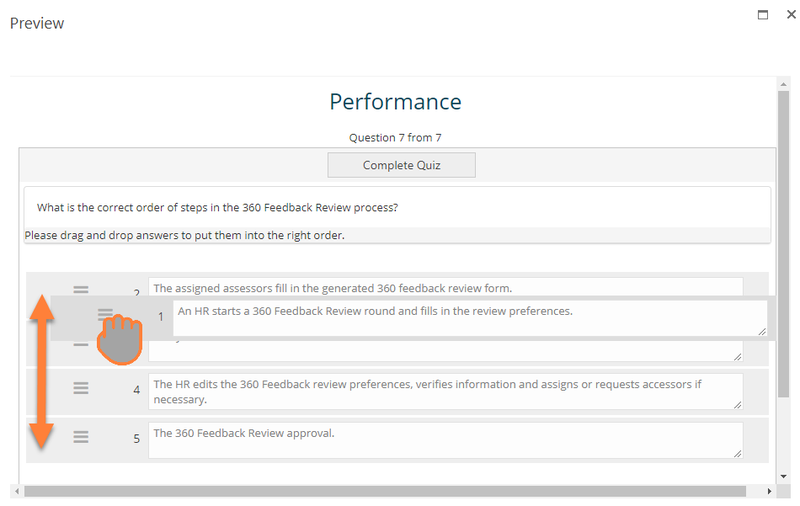 Ordering – With this type of question, the learner drags answers to put them in the correct order.